Craigielaw Golf Club. The perfect setting on Scotland’s Golf Coast. Situated on Scotland’s Golf Coast and inspired by the great links courses of Britain, Craigielaw Golf Club truly is a golfers’ paradise. Not only boasting a challenging 18 hole championship golf course, designed by Donald Steel,the course opened in 2001 and in this short period has been host to many national events, including the 2006 Scottish Amateur Strokeplay Championship and was a qualifying course for the 2007 British Seniors Open at Muirfield. 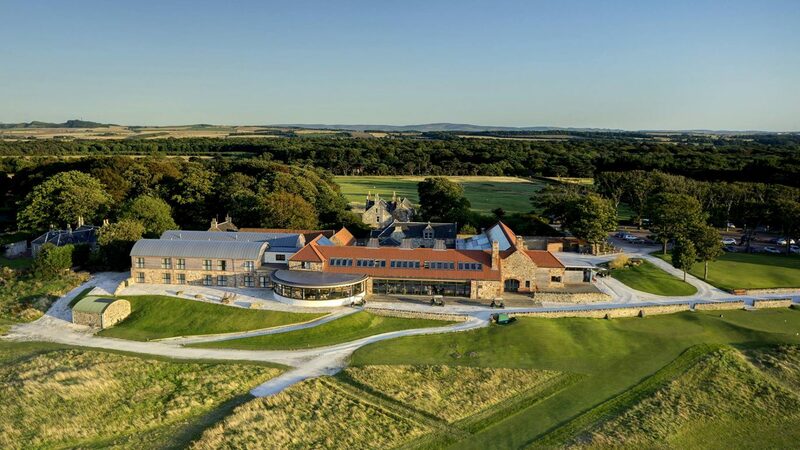 With challenging greens, cavernous bunkers and spectacular views over the Firth of Forth, Gullane Hill and out towards Edinburgh and Fife, Craigielaw is surrounded by a further 22 golf courses. These courses include world-renowned greats such as Muirfield, North Berwick and Gullane. We pride ourselves in the friendliness or our welcome and efficiency of the service we provide. Craigielaw reflects what golf in East Lothian is all about. Stay in our Lodge and enjoy Scottish hospitality at its best in our comfortable en-suite rooms overlooking the golf course. Dine in our bar and restaurant which offers the finest locally and seasonally produced food alongside an extensive range or whiskies, wine and beer. Located only 30 minutes’ drive from Edinburgh, Scotland’s Capital, Craigielaw caters to all the discerning golfers needs. The Gosford Package FROM £222.50 per person. Price quoted is a weekday price based on two sharing a room. The Links Package From £225.50 per person. Price quoted is a weekday price based on two people sharing a room. Situated ½ mile West of the village of Aberlady on the A198. On site 25 bedroom golfing lodge. 18 hole championship course, 6 hole par 3 course, grass driving range, restaurant, bar, meeting rooms.